Turkish President Recep Tayyip Erdoğan’s government is striving to create a national founding myth for its vision of a “New Turkey”, but veneration for the Republic of Turkey’s founder Mustafa Kemal Atatürk remains a rare factor unifying opinion across party lines, according to analysis published by the Washington DC think tank Center for American Progress. 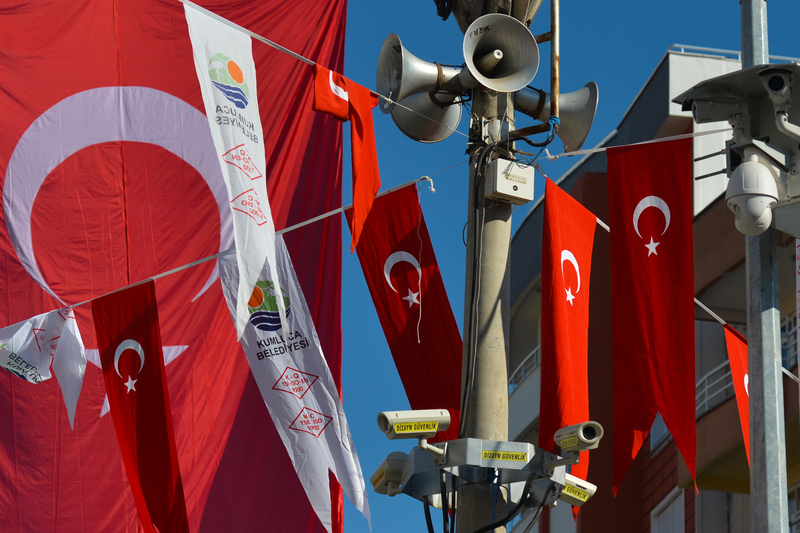 The Center’s analysis supplements data published on Monday in a far-reaching study that charted Turks’ views on their national identity and government. One significant finding from the report, based on a broad nationwide survey, describes the rise of a right-wing populism which parallels that seen in Europe and the United States. This attitude is reflected in the research participants’ attitude to Turkish foreign policy, with most Turks across all political lines favouring a “go-it-alone” approach that distances them from their traditional allies in the United States and Europe. It was also starkly visible in the overwhelming agreement with the idea that “global and political elites have too much power over Turkey and should be resisted”. The report described the ruling Justice and Development Party (AKP)’s efforts to forge a nationalist mythos on Turkey based on the successful resistance against the coup attempt in July, 2016. The findings add that there is a slightly higher proportion of the country that feels the government’s harsh crackdown after the coup attempt was appropriate, than those who believe it is being used to silence dissent. While there are conflicting opinions about the response to the coup attempt among conservative Turks, they are “largely based on the feeling that it has not gone far enough rather than concern about a purge run amok,” according to the research. Erdoğan himself has proven to be an increasingly divisive leader, according to the Center. While he remains the most popular politician in the country, it reports “substantial criticism of him personally as well as generalized discontent,” with young AKP voters particularly holding a negative view of the president. The findings also showed these voters to be more stringently nationalistic and “significantly harsher in their views of political opponents” than their male counterparts. One of the significant findings shows a widespread reverence for the founder of the Turkish Republic, Mustafa Kemal Atatürk, and the secular ideology and reforms that he built the country with. The majority of Turks from all backgrounds agreed that Turkey should be a secular state with no official state religion, while one third of voters for the ruling party believed that Atatürk’s reforms were “under attack”, the writeup noted. Another unifying factor discovered in the research is the presence of 3.5 million refugees from the Syrian civil war, which most Turks oppose. Security threats and populist leadership have left Turkey in a defensive crouch and driven the emergence of a new, conservative nationalism.